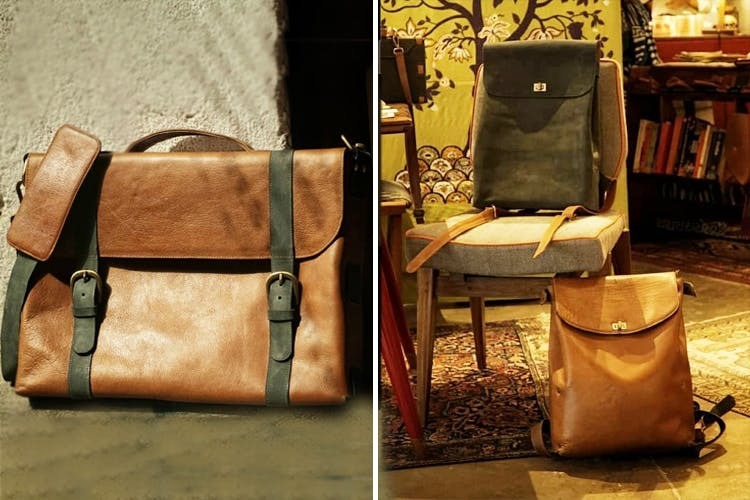 The Bicyclist designs genuine leather accessories that have modern, minimalist designs and high functionality. Their designs can be best described as classic yet chic, so if you're into that, definitely check it out. We got our hands on some of their products and we were delighted to say the least. Since their products are made with genuine, full grain leather, you can feel the quality right away–it's that obvious sort of reaction, like you know that it's a good product. We really liked the stationery pouch for its sleek design, the travel wallet and the men's wallet for their utility, and the spectacle case because honestly, having a fine leather case on you for your specs is just straight up cool. All the products (basically the leather) had a really nice finish to them–they use a process called Vegetable Tanning for a natural finish. They've also got bags, backpacks (we love the one in black), big pouches, and card cases–all minimal and functional. Their collection is a bit limited for now; we hope they keep adding more products for us to crush on more regularly. The website is a little slow, too. If you've got a bulk order, they'll even customise your designs with logos, embossing and more–just contact them directly for that.